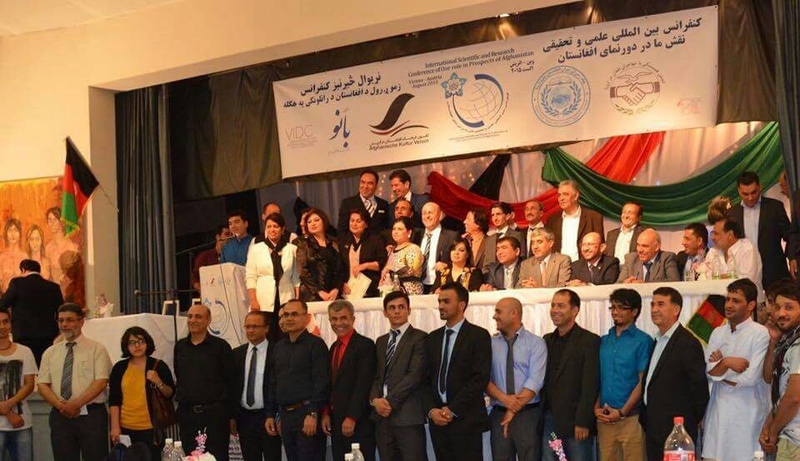 On Saturday, August 22, 2015, AKIS (afghanische Kultur, Integration, Solidarität) and the Organization for Solidarity with Afghan Refugees in Europe (Verein Solidarität mit afghanischen Flüchtlingen in Europa) in collaboration with Afghan associations and NGO’s in Vienna, organized a conference, titled “What is our Role in the Future of Afghanistan?”. In his opening statement to participants, H.E. Ambassador Erfani, praised the organizers of the conference for bringing together the Afghan diaspora to discuss the situation in Afghanistan and the role of the Afghan diaspora in the future of the country. 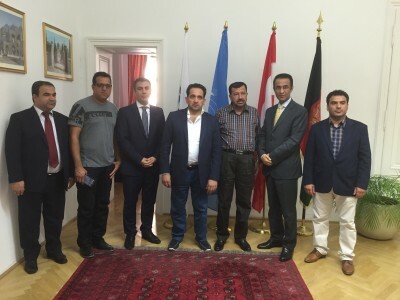 He welcomed the wide variety of participants, including a delegation from Afghanistan, Afghans living in Austria, and other Afghan expatriates, commending their interest to do their part for the future of Afghanistan. During his statement, H.E. Ambassador Erfani briefed the participants on the ongoing situation in Afghanistan, referring to the decade long achievements made in Afghanistan, gained thanks to the sacrifice of Afghan people in combination with support from the international community. He also emphasized the important role of Afghan expatriates to contribute in strengthening the current achievements and progress made in the country and to support the National Unity Government of Afghanistan to implement its programs for the success of the Decade of Transformation, and among them the ongoing efforts to preserve peace, achieve stability and promote economic development for the country. The key note speakers of the conference delivered their comprehensive statements which created an opportunity for an open question and answer session followed by the adoption of the findings of the conference. Diplomats from the Embassy and Permanent Mission of Afghanistan in Vienna also attended the conference. H.E. Ambassador Erfani delivered a statement at today’s International Atomic Energy Agency (IAEA) Board of Governors on Verification and Monitoring in the Islamic Republic of Iran. Ambassador Erfani thanked IAEA Director General Amano for his report and expressed Afghanistan’s support for the Joint Comprehensive Plan of Action (JCPOA), aiming at a peaceful and diplomatic solution to the Iranian nuclear issue and the essential role of the IAEA in this regard. Ambassador Erfani applauded the efforts of the negotiators who facilitated the JCPOA and urged member states to fully cooperate with the IAEA for successful implementation of the JCPOA and the road-map signed by the IAEA and Iran. The Embassy and Permanent Mission of Afghanistan in Vienna congratulates all Afghans on the occasion of their National Day, restoration of independence. The people of Afghanistan, regardless of the ongoing challenges in the country, remain determined to continue their journey with the support of their partners in the international community to work towards a stable, prosperous, and democratic future. Happy National Day to all! Please note that as was done in the past, the Embassy and Permanent Mission will officially celebrate the National Day of Afghanistan the first week of October. The Embassy and Permanent Mission will be closed on August 19, 2015 in observance of the National Day. On Wednesday and Thursday, 12 and13 August, a delegation of Afghan parliamentarians participated in the 12th General Meeting of the International Parliamentarian’s Coalition for North Korean Refugees and Human Rights. As head of the delegation, Mr. Sediqi delivered a statement in the opening session of the conference. “Afghanistan’s parliamentarians will always advocate for the promotion and protection of human rights of refugees including those from North Korea and anywhere else on our globe and hope that our joint efforts under various frameworks including under IPCNKR will effectively contribute to this end. The matter of refugees has become a serious issue more recently, not only for Afghanistan but for the international community as a whole. We are confronted with a global challenge that requires sober and practical action, upholding the unalienable rights of refugees. In the course of their visit the delegation also conducted bilateral meetings with other participating delegations and attended dinners hosted by Japan, Korea, and the Permanent Mission of Afghanistan. Additionally, Mr. Sediqi met with a journalist from the Winer Zeitung to discuss the current political situation facing Afghanistan. Throughout their visit the delegation was accompanied by Ambassador Erfani to bilateral meetings where they discussed the current situation of the country and effective ways of Afghanistan’s partners continued cooperation with the country. Particular emphasis was placed on strengthening the relationship between parliaments throughout the decade of transformation in Afghanistan, 2015-2025. 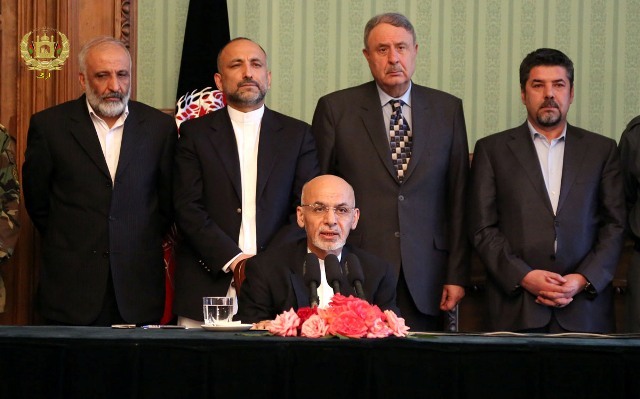 Kabul – The Islamic Republic of Afghanistan regrets the postponement of the second meeting of formal peace negotiations with the Afghan Taliban movement, which was scheduled for July 31st, 2015 in the Islamic Republic of Pakistan. The Islamic Republic of Afghanistan, as always, is committed to the peace negotiations with the Afghan Taliban movement and hopes that the aforementioned meeting will be held in the near future. The Islamic Republic of Afghanistan believes that in the current situation, peace negotiations are possible than any time before; therefore, the Islamic Republic of Afghanistan calls for sincere cooperation of all the relevant actors in supporting the Afghan Government’s efforts towards a lasting peace in the country and the region.